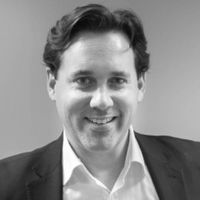 Rob has over 15 years technology Venture Capital experience in both Investment and operational roles from start-up through to early stage, growth, development and AIM floats. Prior to Seraphim Rob was with YFM Equity Partners as an Investment Director working across London Seed Capital, The Capital Fund and the British Smaller Companies VCT plc. He was Board observer or Director for 25 portfolio companies including the World’s leading social listening company Brandwatch (14x Exit). Rob was also Investment Director for the London Business Angels Network. In 2013 Rob successfully launched, as Co-Founder, a FinTech start-up raising £3.5m from leading Angel Investors, where he led the commercial engagement with the tier 1 banking community. In his early career Rob worked in Silicon Valley for a boutique consultancy, working on new market entry for pre IPO companies and commercialisation strategies for University spinouts. He then went on to work as an Analyst for the University of Ulster’s new Ventures team UUTech. Rob holds a BSc(Hons) in Biomedical Sciences from the University of Glasgow and a Postgraduate Diploma in Information Technology Systems from the University of Strathclyde. Outside of work he can be found walking his dogs in the countryside, following the exploits of the English rugby and cricket teams or indulging his passions in classic cars and cooking.